I was the kid who was more interested in mall pretzels than mall shopping. I’ll always have a soft spot for those buttery, salty, Auntie Anne’s pretzels. 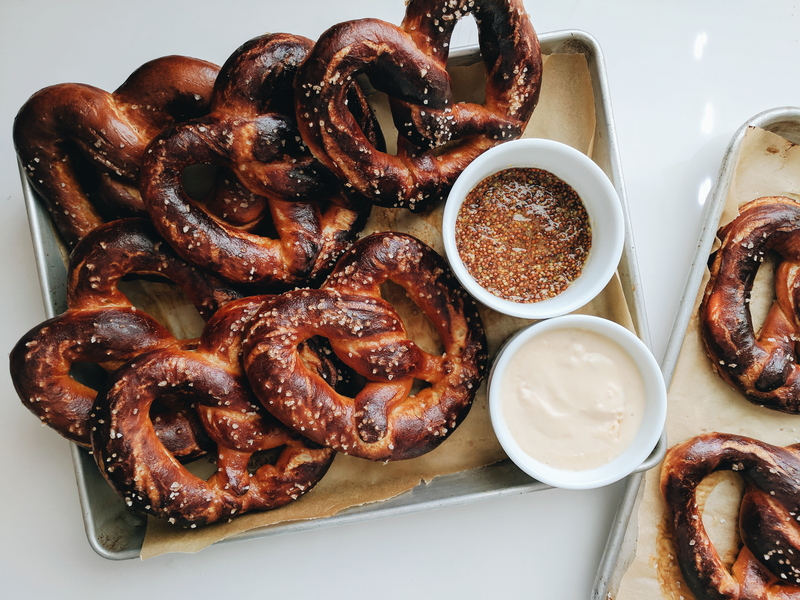 The difference between mall pretzels and Bavarian pretzels is the color and texture. Authentic pretzels have that dark, shiny, and chewy outside, with a soft inside. To Maillard recation is responsible for the caramel color. 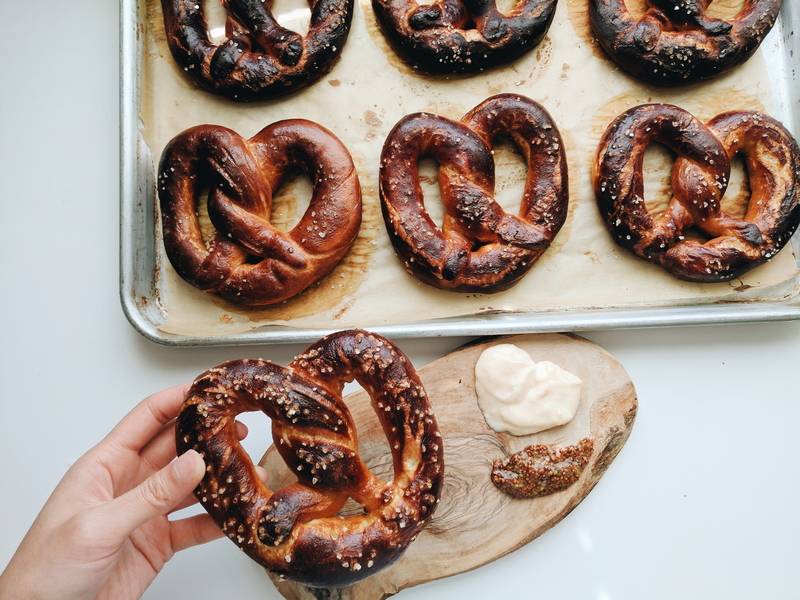 Traditional pretzels are dipped in a lye mixture. Since I’m not trying to risk my life making pretzels, I used baking soda instead. 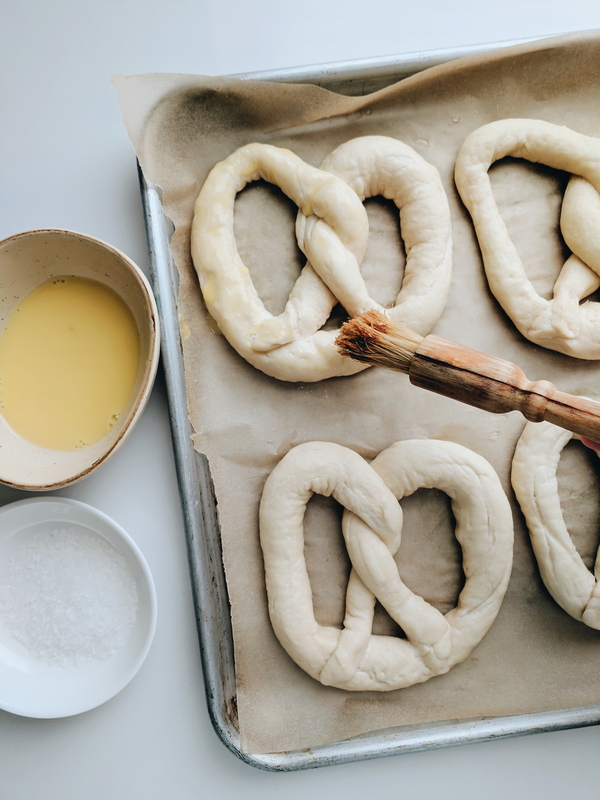 Boiling the pretzels in baking soda and water for a few seconds before baking will cause a reaction between carbs and amino acids and create that caramel color after baking for just a few minutes. For dipping, I made a simple roux on the stove with a few tablespoons of butter and a few tablespoons of flour. Then, I whisked in a few big splashes of milk (I’m really bad at measuring) until there were no clumps. I poured in a couple glugs of light beer and continued whisking. I finished off the dip with a scoop of cream cheese and a couple handfuls of muenster cheese. Honey mustard is another great pretzel dip. Super inspiring! 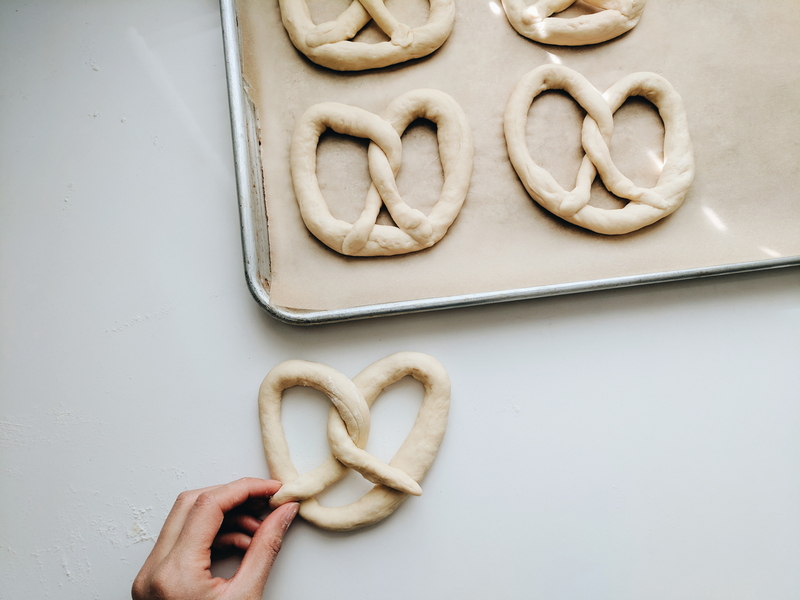 Do you have the recipe to share for the pretzel?